Ian Lee is a freelance journalist specializing in the areas of business, finance, and economics. He also has over five years of experience in investment banking. 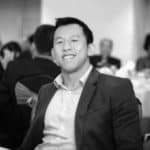 Ian holds a bachelor's degree in finance, and his work has been published on an extensive list of publications including cryptocurrencynews.com, lifehack.org, downtofive.com, fintechfans.com, iragoldadvisor.com, microsmallcap.com and streetsignals.com.